These dashboards for the PA and PB are handmade and made to order. The layout can be standard or adapted for additional instruments etc subject to providing a template. 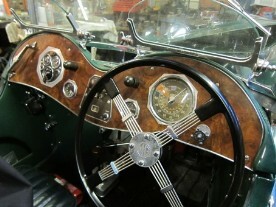 We have recently been asked to produce a P type dashboard on engine turned aluminium J Type finish. 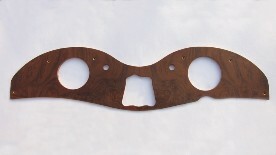 We can generally produce any dashboard layout the customer requests including producing a P Type dashboard in aluminum, as per the Le Mans P Type. We also supply the Lucas D43 style dashlamps for P/N and K Types, Singer 1.5L and Morgan.